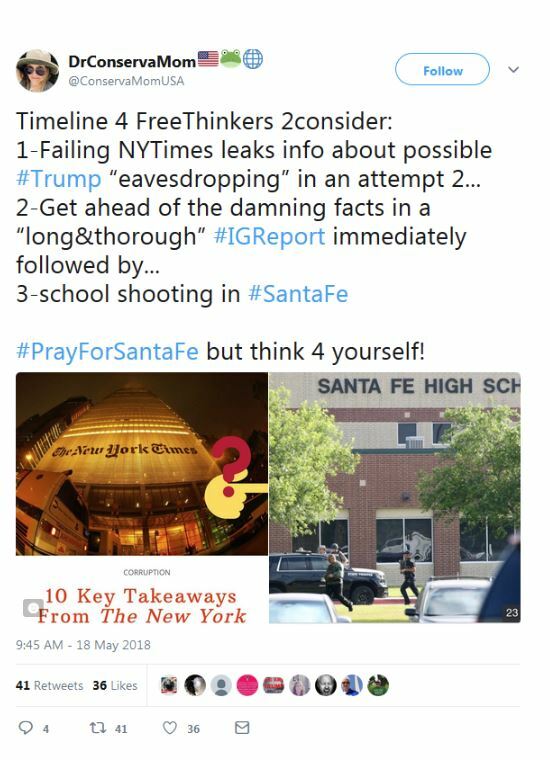 A gunman has reportedly killed at least eight students  at Santa Fe High School in Santa Fe, TX. 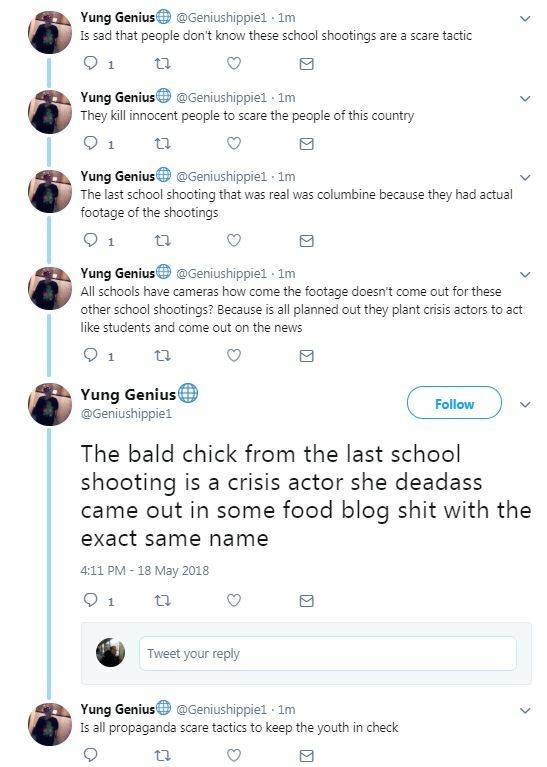 The shooter is reportedly  in custody. 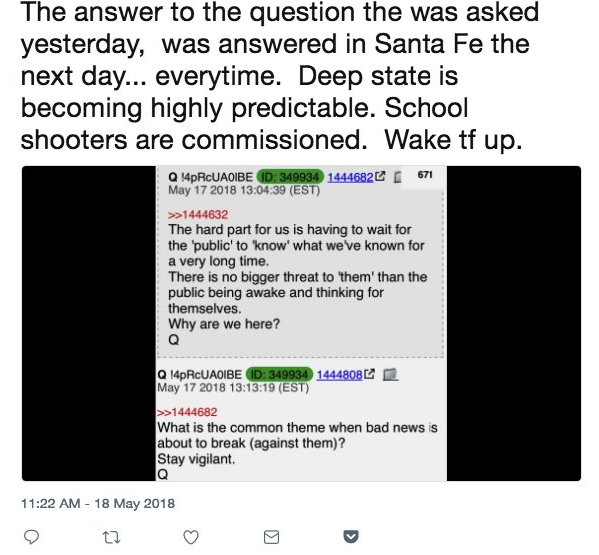 Conspiracy theories about the attack are already spreading on message boards and social media. This post was last updated at 2:56 pm EDT and will be updated throughout May 18. 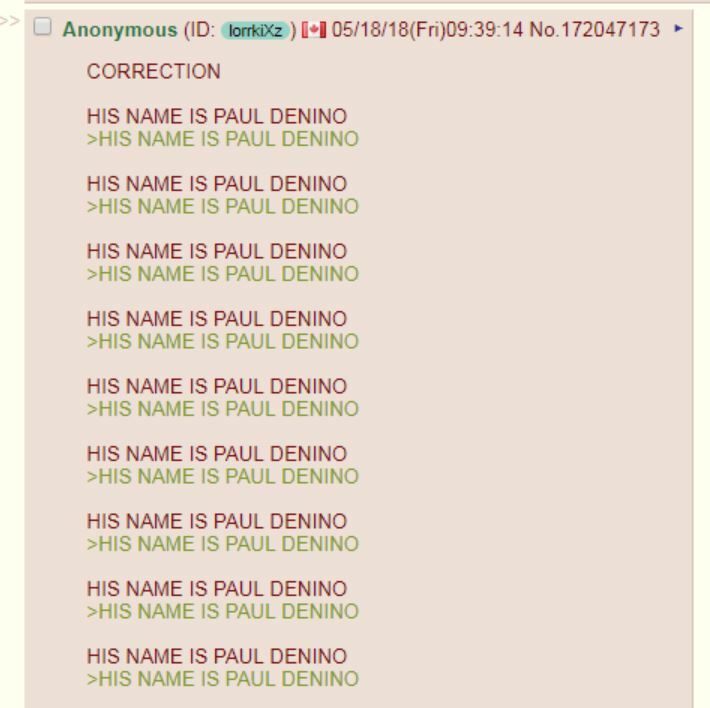 4chan : The shooter was “identified as Ant-awan Al-Kumiyya” and has “ties”  to ISIS. 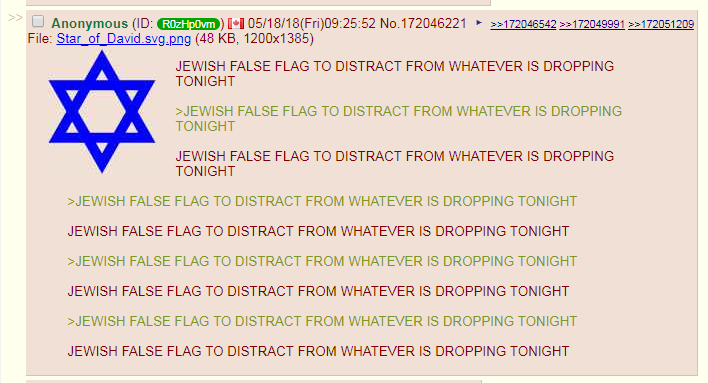 4chan : The shooting was designed to distract from Department of Justice inspector general report about investigation into Hillary Clinton’s emails. Other  posts  in another thread made the same allegation. 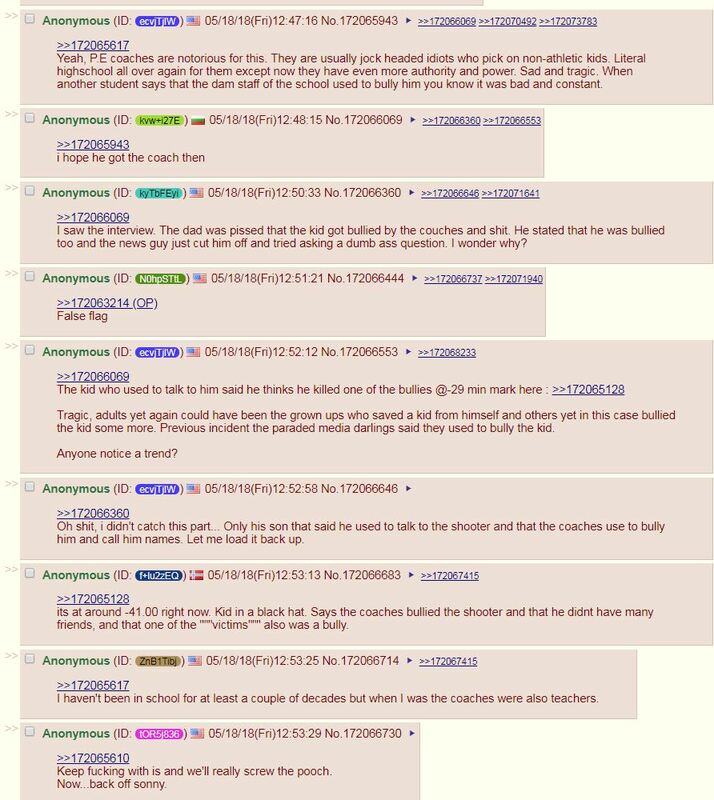 4chan : The government takes advantage of real shootings to desensitize people before taking their rights. 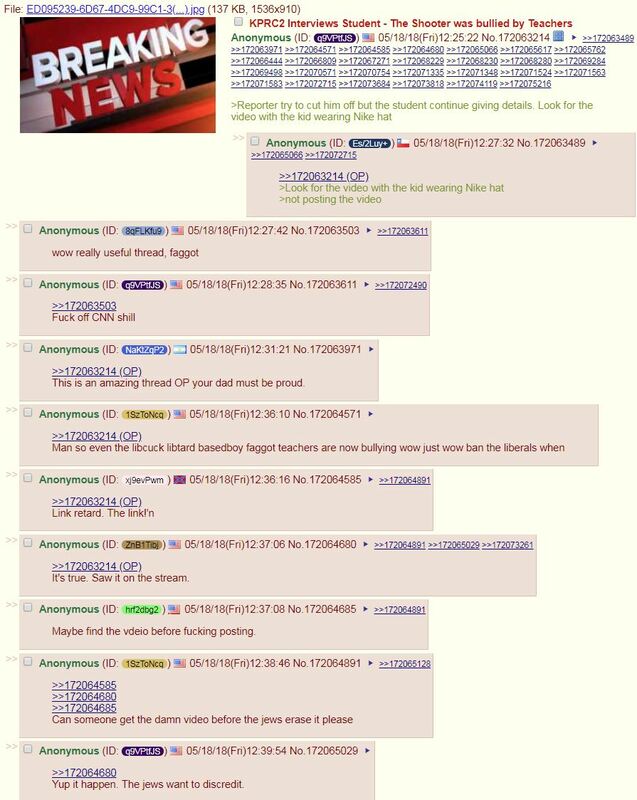 4chan : The shooting might have been designed to “shift the narrative back to gun control” and/or distract from Israel killing Gazans. 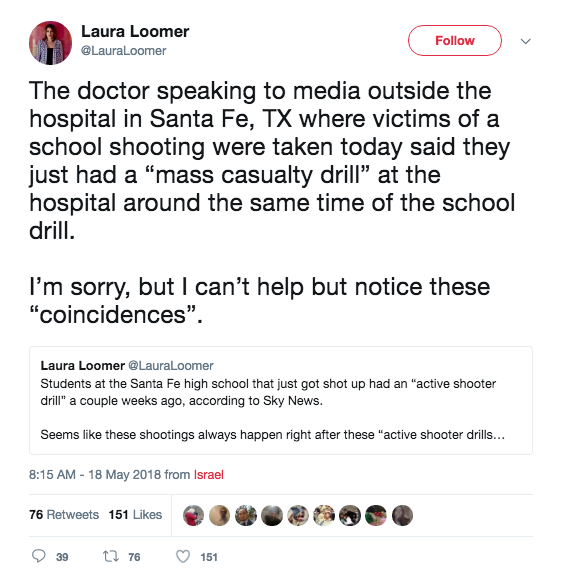 8chan : The shooting might have been a false flag. 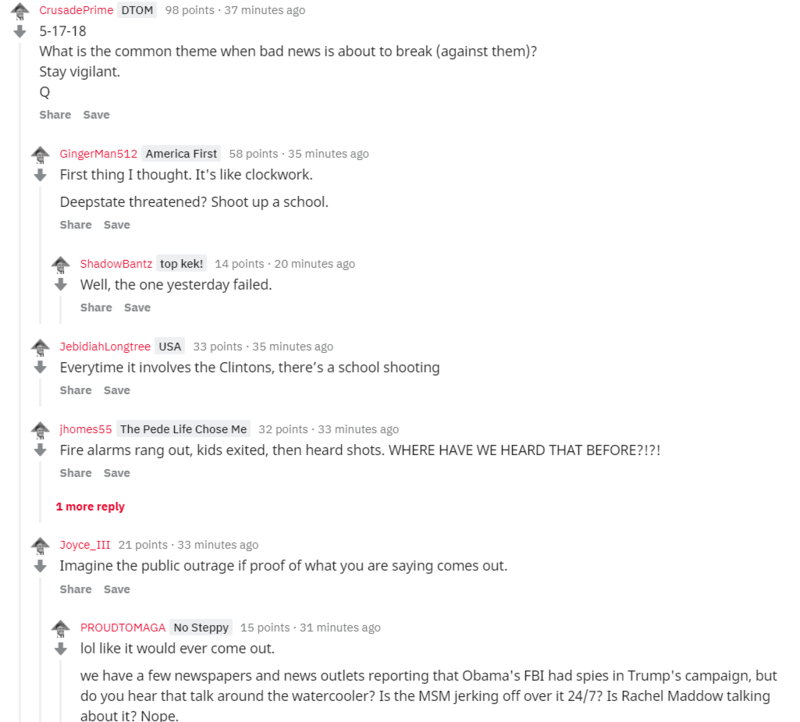 Reddit’s r/The_Donald : The shooting might have been a false flag. 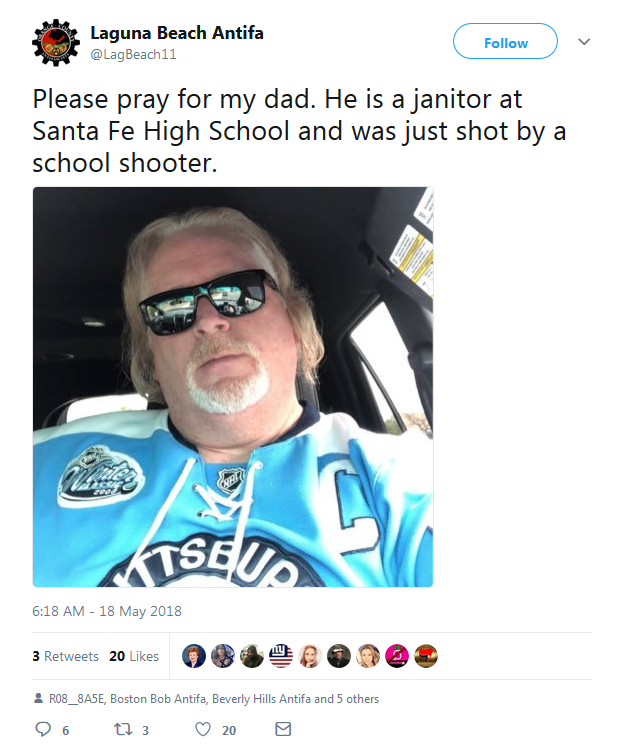 Twitter user : A fake account for “Laguna Beach Antifa” spread a false claim that the poster’s father is a janitor at Santa Fe High School who was shot. 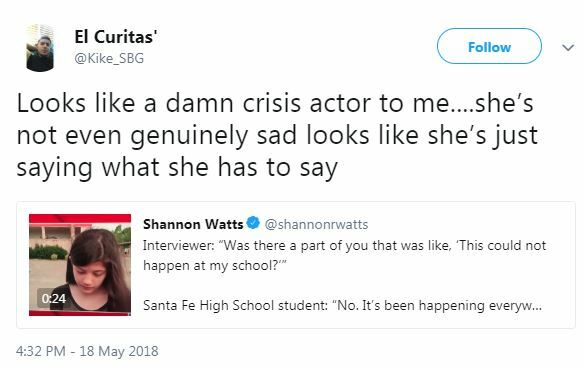 Another fake “Laguna Beach Antifa” account had previously  pushed  this same image. 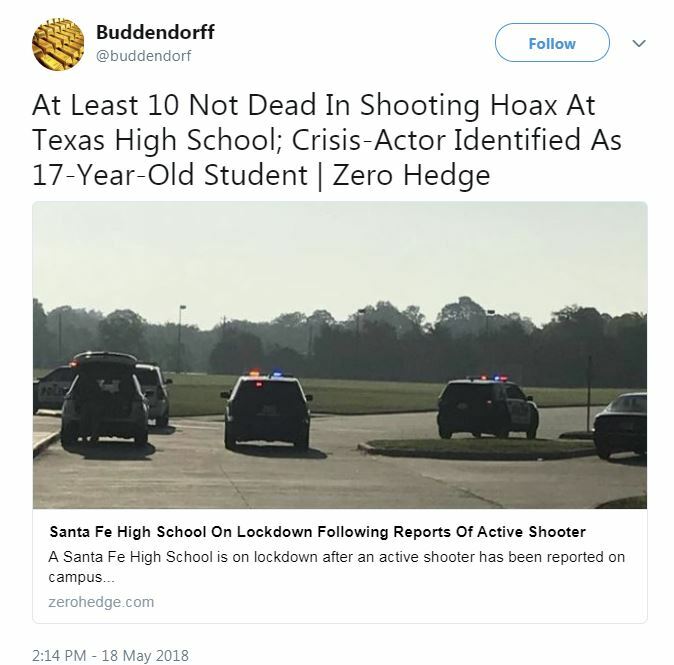 Twitter user : A since-removed tweet falsely identified “neo-nazi ring leader Samuel Hyde” as the shooter. 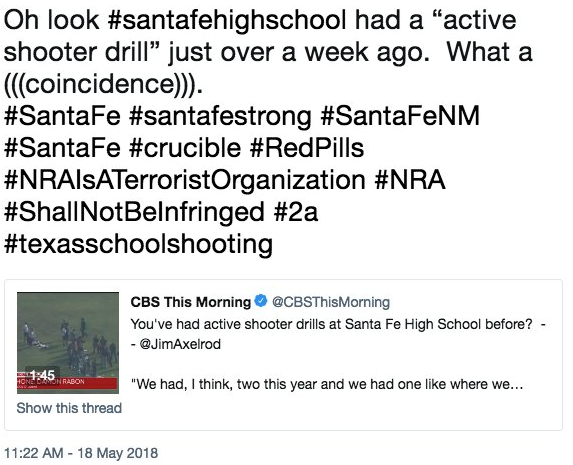 Twitter user : The shooting was a planned distraction from news about Democrats. 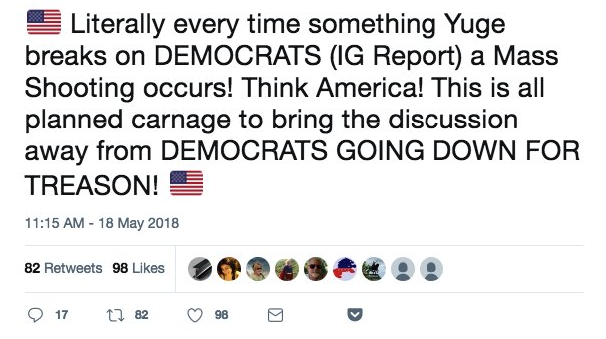 Twitter user : The shooting could be part of a New York Times cover-up of the release of the Justice Department inspector general report release. 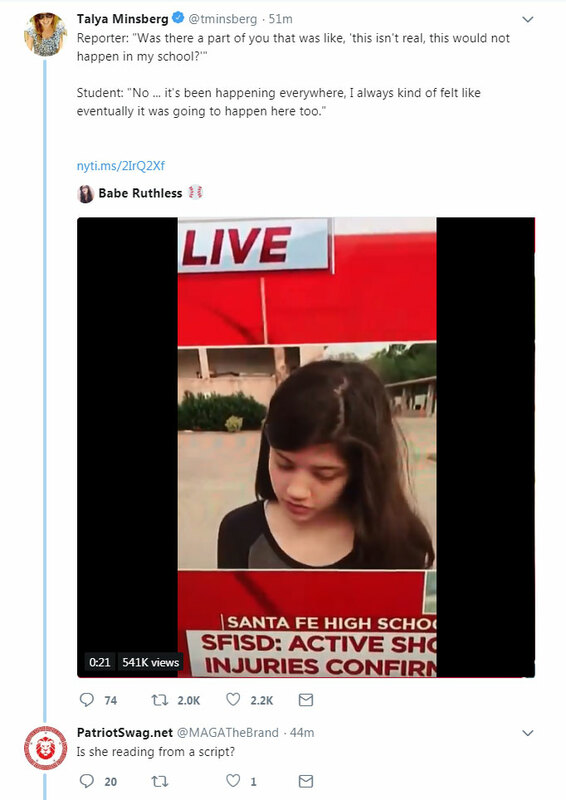 4chan : The shooter was bullied by teachers, and media are covering it up. 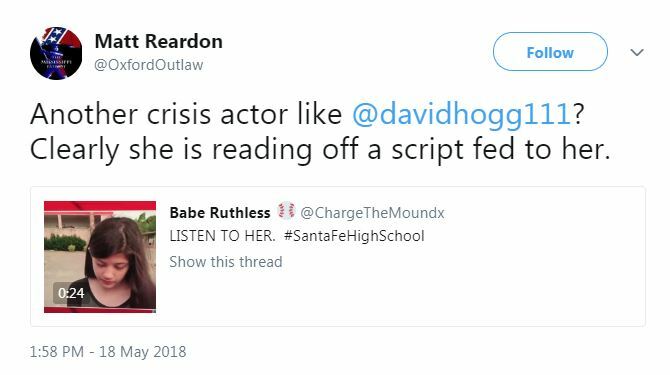 Twitter users : Survivor Paige Curry is a crisis actor. 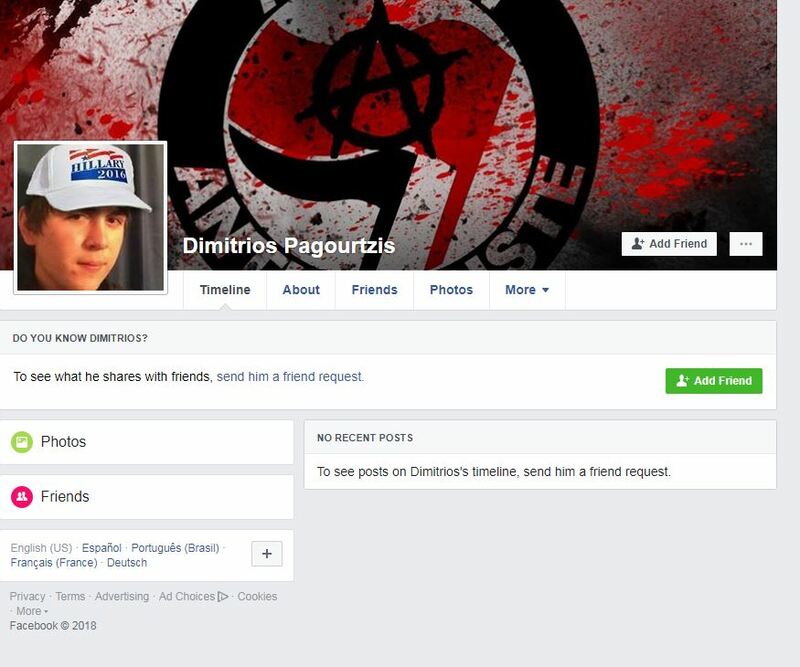 Facebook : A now-removed fake profile was created of the alleged shooter as a Clinton and antifa supporter. 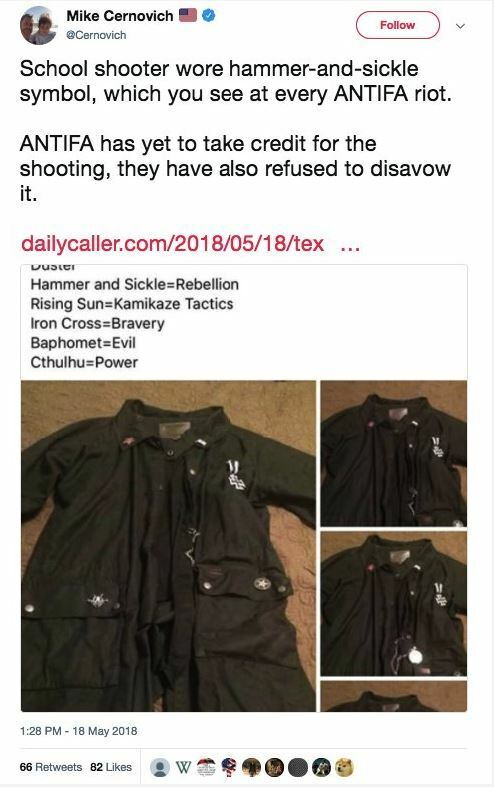 Mike Cernovich : The alleged shooter  may be antifa because he wore the same outfit "which you see at every ANTIFA riot." Research contributed by Alex Kaplan, Cristina López G., Natalie Martinez, Grace Bennett, Dina Radtke, and Bobby Lewis. Also, h/t to Buzzfeed reporter Jane Lytvynenko for some of these.